This article was written for Tea with Tolkien by Theresa Zoe Williams. Learn more about her here. Flannery O’Connor is one of the most well-known Catholic writers, and novelists of any stripes, of the 20th century. 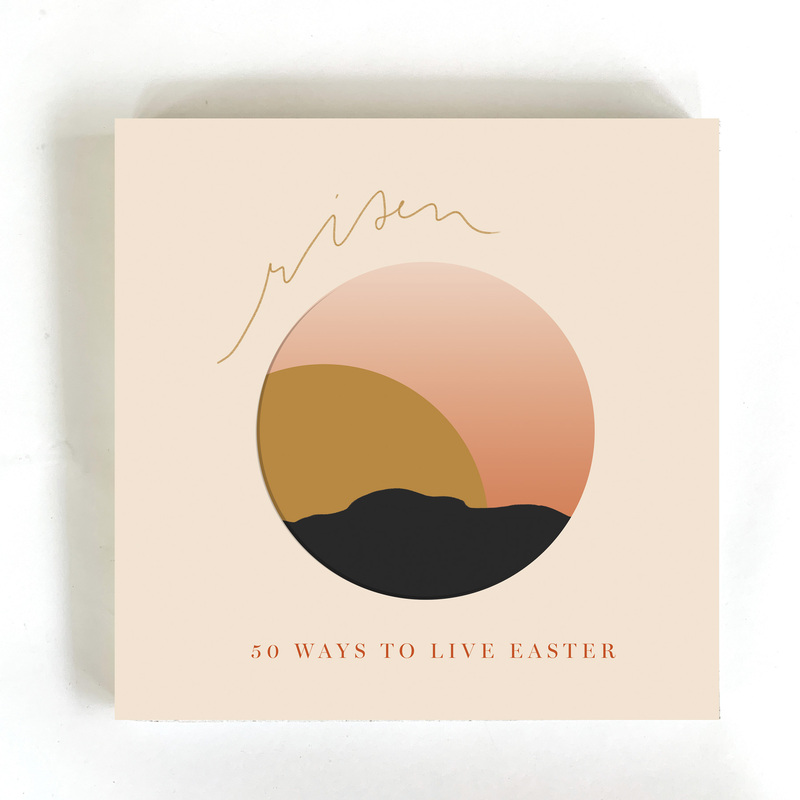 She wrote pieces about broken people living in a broken world and the effects of grace on their lives. Sometimes her writings are labeled “too grotesque”–– and certainly they are. How else would you describe a serial killer slaughtering a family one by one–– mother, father, children, grandmother? There are many such instances in her writings. But Flannery saw the beauty within the ugly–– the mangled, gnarled hands and feet of the Savior Who gave Himself over willingly for us–– and knew that God could be found even amongst these. She said, “Whenever I’m asked why Southern writers particularly have a penchant for writing about freaks, I say it is because we are still able to recognize one.” She recognized the freaks in her world and recognized that really we are all freaks. “You shall know the truth and the truth shall make you odd,” Flannery once said and that is certainly true of her life and her works. She knew that Faith could not and would not tie our lives up in neat little bows and that we could be ugly creatures that deny the salvation wrought for us in Christ. What good would grace be if it did not have the power to conform us ever more closely to Christ? And what kind of Christians would we be if we excused ourselves from the pain Christ did not deny Himself? So we see in Flannery’s stories people who are struggling to accept grace and let it work in their lives, and she highlights the painful aspect of this for us so that we may not be afraid of change (or perhaps that we’ll be frightened of not changing). What we see here is that Flannery knew both the struggle and ease of Faith, the joy and the suffering, and she knew that they could not be separated. Death and life, they go hand-in-hand, working together to bring us toward the immortal and eternal. Peacock imagery plays a central part in Flannery’s life, as she had numerous of her own and they also sometimes graced the covers of her works. What is interesting is that the ancient Greeks believed that a peacock’s flesh did not decay after death and early Christians latched on to this, especially around the Easter season. In early Christian imagery and paintings, the peacock became a symbol of immortality. In a way, the peacock is a symbol of our heavenly life to come. When her first peacocks were delivered and came out of their crate, Flannery said, “As soon as the birds were out of the crate, I sat down on it and began to look at them. I have been looking at them ever since, from one station or another, and always with that same awe as on that first occasion.” Flannery looked at life and saw the eternal beauty we are all endowed with, no matter what grotesque struggle a person might be enduring in the moment. Like gazing at the peacocks, Flannery gazed at people and saw God, in some form or another, beautiful or grotesque. Flannery died at age 39 of lupus and now, like she did with her peacocks, she can gaze with ever furthering awe and wonder at the Lord of Lords in eternity. 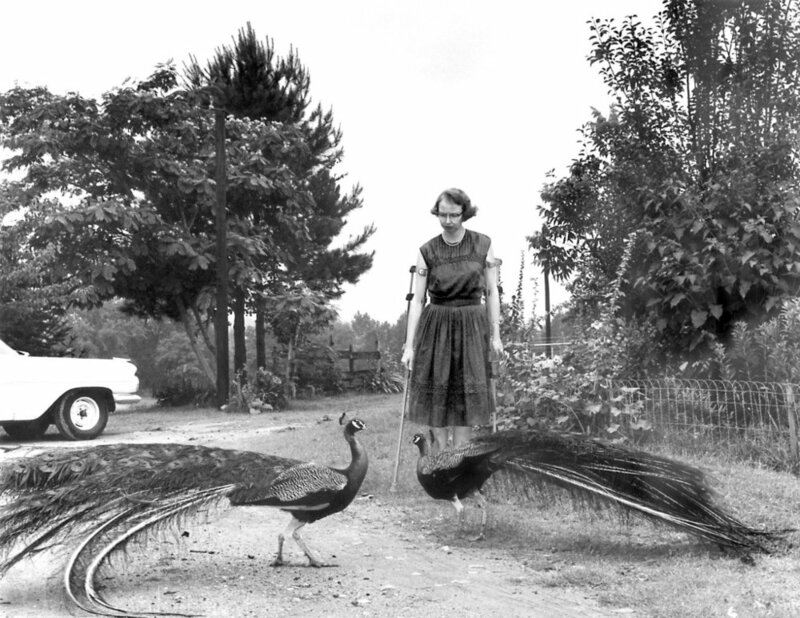 FLANNERY O’CONNOR IN THE DRIVEWAY AT ANDALUSIA, 1962. © JOE MCTYRE/ATLANTA CONSTITUTION. "I have become all things to all, to save at least some" (1 Cor. 9:22) basically describes her life as writer, homemaker, friend and sister, wife, and mother of 2 spunky children, all for the sake of Gospel joy. She received her BA in Theology, Catechetics/Youth Ministry, and English Writing from Franciscan University of Steubenvile. Her life mottos are Ad Majoram Dei Gloriam and "Without complaint, everything shall I suffer for in the love of God, nothing have I to fear" (St. Teresa Margaret of the Sacred Heart). She is Pennsylvanian by birth, Californian by heart, and in Colorado for the time being. She blogs at http://www.PrincipessaMeetsWorld.com and yinz can find her on Twitter @TheresaZoe.